"Susan, what's happening? I missed that whole exchange!" I was a little afraid of this episode but it was exactly what I needed. 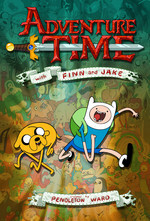 Thanks for being there, Adventure Time. Reboot is so friggin deep. ooph. that certainly was something.